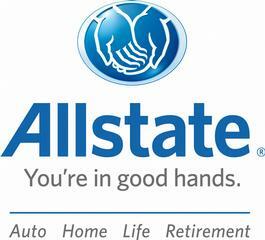 We have our share of struggles with Allstate in traffic collision and other personal injury cases. Allstate can be a very difficult company to deal with when they are defending either first or third party injury claims. But this insurer just won a big fight – a critical fight for them – in front of the Maryland Court of Appeals. And I’m glad they won. Allstate decided to stop writing home insurance policies in Southern Maryland, the Lower Eastern Shore, and some properties on or near the waterfront in Anne Arundel County. Why? It thinks that the spate of hurricanes that have pounded the eastern seaboard in recent years may not be anomalous. Instead, they are the result of increases of tropical sea surface temperatures (or whatever else it might be). The company does not care why. What it does know is that it no longer wants to bear the risk of catastrophic financial losses if a hurricane hits these at-risk areas. The Court of Appeals agreed that the insurer had a reasonable basis. Judge Harrell, in his dissent, says that Allstate has decided not to write new homeowner’s insurance policies in these areas because of an unsubstantiated fear of a hypothetical force of nature, a Category 2 or greater hurricane making landfall in Maryland. I agree. But is he sure? Couldn’t reasonable minds differ on this? Does anyone really have a handle on the degree that global warming is going to impact the future? I think the answer is that no one really has a clue and, accordingly, It should be given the discretion to decide for itself. I also think the applicable laws – § 19-107 and § 27-501 of the Maryland Insurance Article – give them that ability. I have a hard time interpreting Judge Harrell’s dissent. Is it a rather liberal, “Hey, insurance company, we let you write policies here so you gotta take the high-risk stuff too” position or is it a, “C’mon, the idea of global warming is stupid, Allstate” opinion? I disagree with Judge Harrell in almost every 4-3 opinion that is written and even in this 8-1 opinion that tries to hold an insurance company’s feet to the fire. Still, I think he provides a fair and independent opinion in every case. (I also think it is nice to read opinions every now and again that rises above North Korean army level humor. In this dissent, read the “Alternative Allstate and Godzilla” analogy), Not that I’m a connoisseur of Supreme Court opinion by any stretch, but I feel like I could write those opinions and tell you which way 7 or 8 of the justices will rule. I don’t feel that way about Judge Harrell or anyone on the Court of Appeals. Former Maryland Insurance Commissioner Ralph Tyler – now with the FDA – was kind enough to accept my invitation to speak to my insurance law class at the University of Baltimore on several occasions. Tyler raised this topic with my students. My recollection – and I could be wrong – was that he wanted Allstate to keep writing waterfront properties (although I’m not sure if he believed the company was not permitted to refuse to provide insurance in these areas or he just wants to encourage them to continue providing coverage). Clearly, new Commissioner Therese M. Goldsmith supports this insurer’s right to do whatever it wants. You can find the full opinion in People’s Insurance Counsel Division v. Allstate Insurance Co. here. But I can’t always support the company.